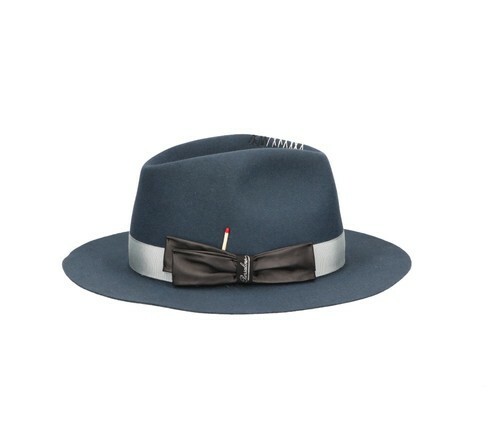 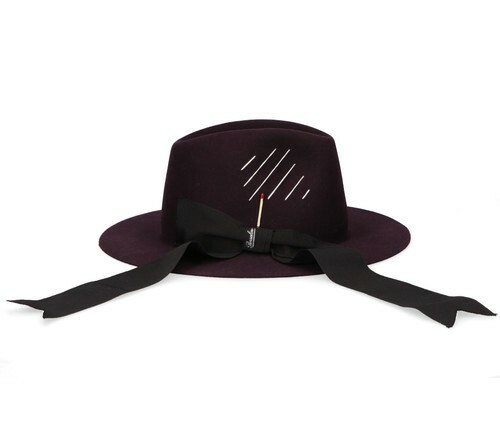 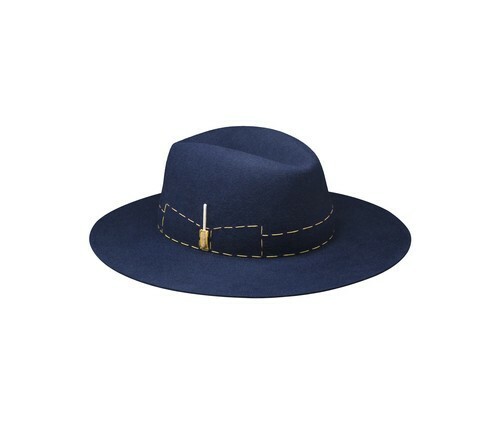 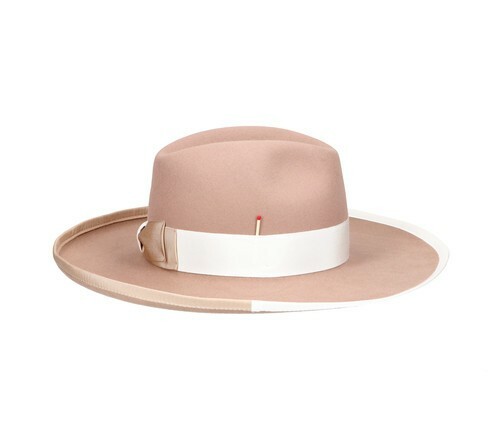 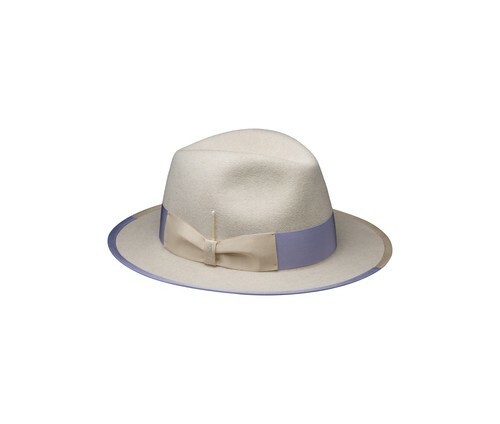 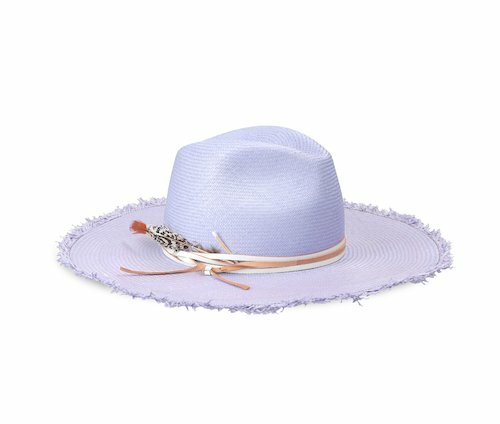 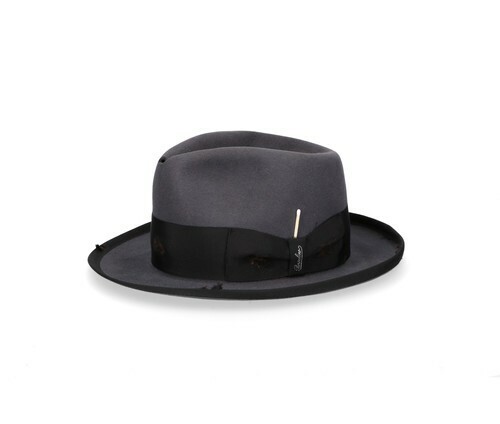 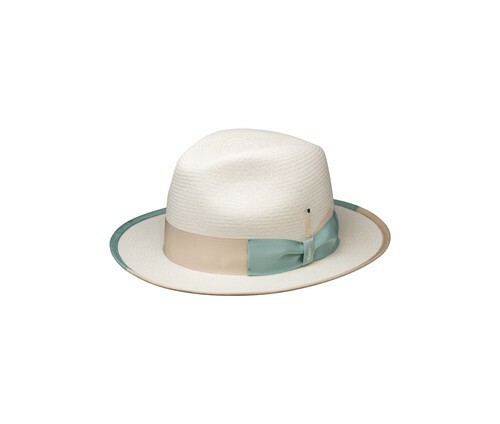 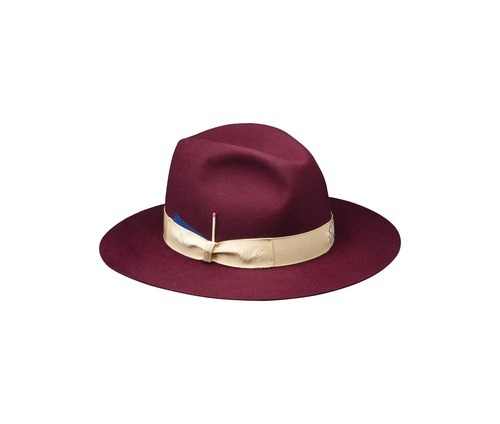 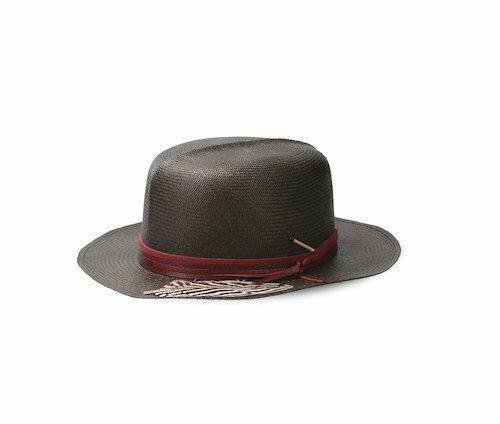 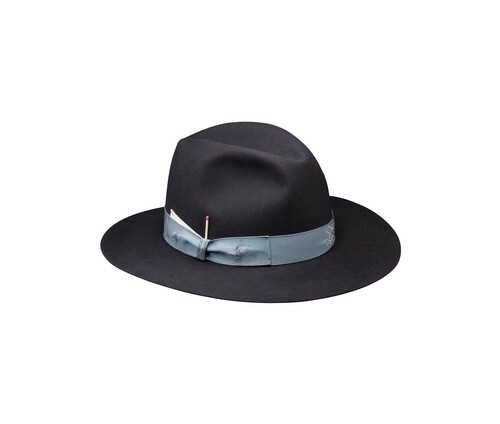 From the Borsalino by Nick Fouquet capsule collection, we present the Sicilian! 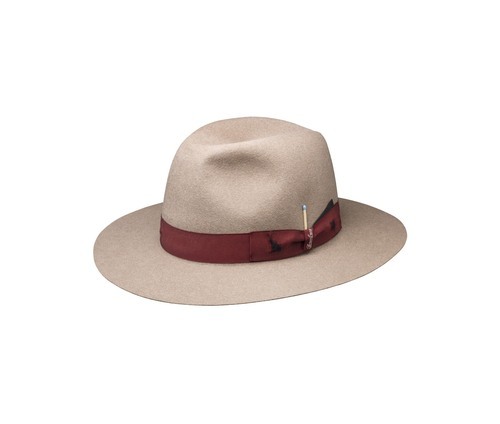 Vintage-effect brushed felt, obtained from a mix of soft hare and rabbit fur. 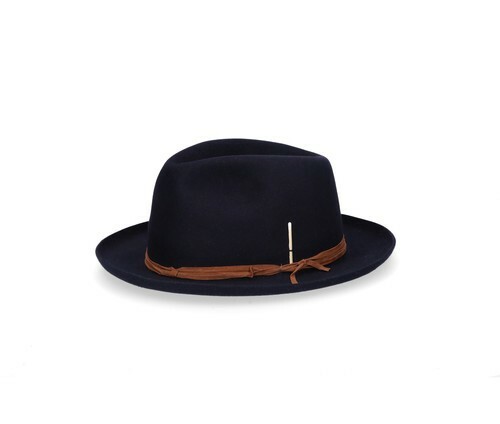 Thick leather with a turkey feather on the "7.5 centimetre" brim, partially edged. 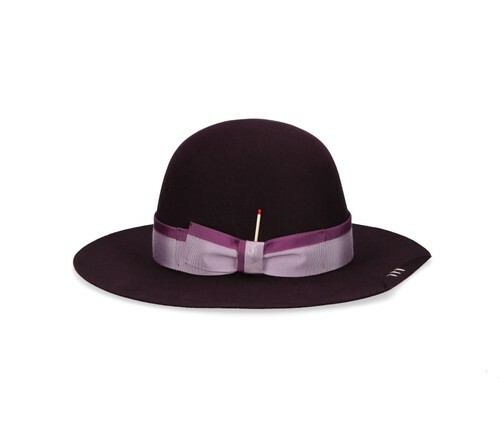 The "3 centimetre" grosgrain ribbon also has a vintage effect and bears a white-head match and silver embossed logo. 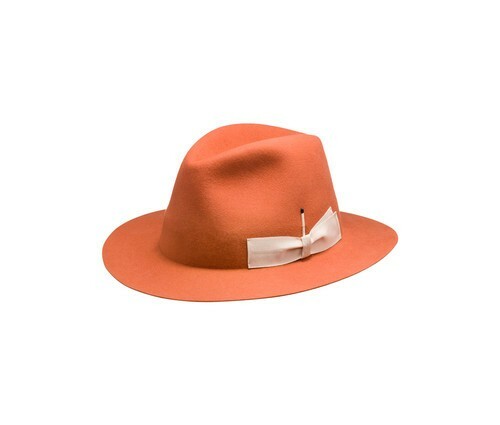 Interior: Moroccan leather, silver satin lining. 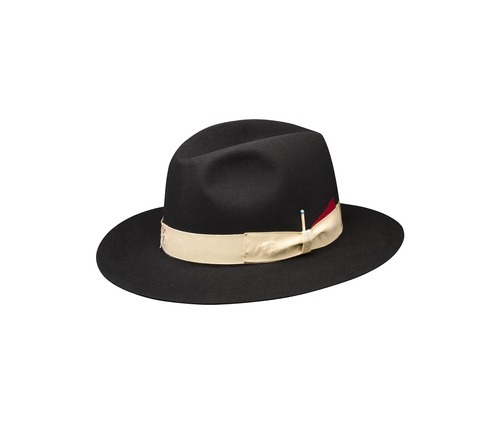 A Made in Italy masterpiece, it is produced by hand in the historic factory in Alessandria. Precious Vintage trimmed Anello hat, with medium brim size “ 6,5 centimetres ”, floral patterned hatband and colored and sewed by hand matchstick. 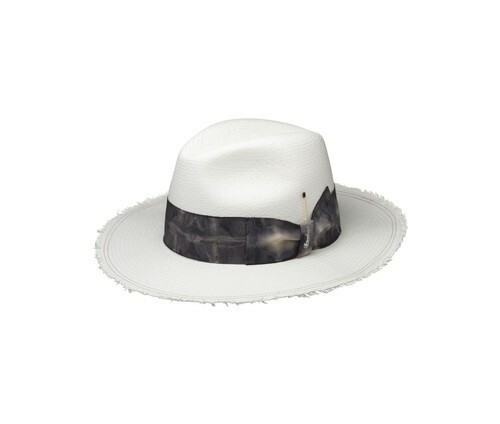 The burn effect is produced by hand, two-tone internal lining. 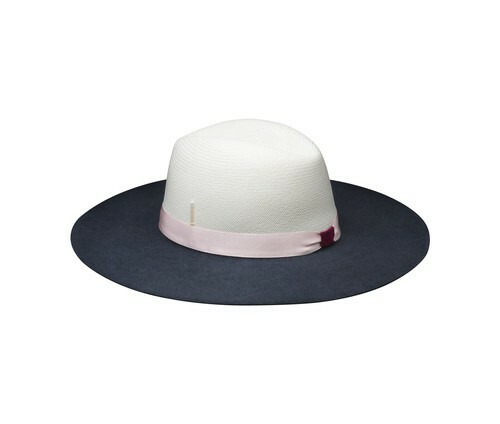 Dedicated hat box <b>“Borsalino by Nick Fouquet”</b><br> A <b>Made in Italy</b> masterpiece, it is produced in the historic factory in Alessandria.